(Dah dah) YOU’RE THE TOP/(A-Boop-a-dee Dah dah) YOU’RE THE DAM AT BOULDER/( Dah dah) YOU’RE THE MOON (A-Boop-a-dee dah dah) OVER MAE WEST’S SHOULDER. That’s Cole Porter. Here’s Lorenz Hart: DON’T CHANGE A HAIR FOR ME/NOT IF YOU CARE FOR ME. At the age of thirteen, I found these lyrics on cast albums issued by Goddard Lieberson. 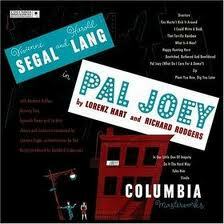 This producer, who worked for Columbia records, shaped my musical (and lyrical) sensibility. He initiated a project: re-recording the scores of the most significant musicals of the 1920’S and 30’s, songs by the best composers and lyricists America ever produced. Take a look at the fantastic roster of brilliant scores: Girl Crazy and Oh, Kay (the Gershwins) and four by Rodgers & Hart –Boys From Syracuse, Babes in Arms, On Your Toes and Pal Joey. Cole Porter’s Anything Goes. Not to mention The Bandwagon (Dietz & Schwartz) I ALWAYS GO TO BED AT TEN/OH ISN’T THAT A BORE?/I ALWAYS GO TO BED AT TEN/BUT I GET HOME AT FOUR. Racy stuff for a fourteen year old, in 1951. 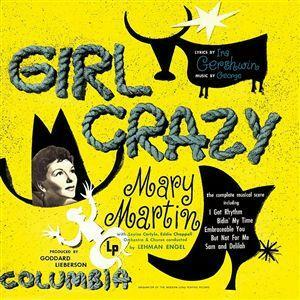 Mary Martin was the star on many of these albums, supported by an accomplished cast of Broadway voices: Jack Cassidy, Portia Nelson, Bibi Osterwald -all conducted by the man who later ran the BMI workshop –Lehman Engel. My total allowance went to Sam Goody’s record emporium on West 49th St. -the Broadway Section. Saturdays would find me there, picking through whatever new titles had just been released, and -as I got to know the composers- if there was no new show album that week, I’d search names like Vernon Duke and Vincent Youmans to find whatever related treasures might be beckoning within the thin plywood separators. Of course, listening to these discs over and over, at your most learning-intensive stage, embedded these songs so firmly in my mind that, later, I was able to make a living at the piano, singing these gems to audiences who responded to the fervor in my presentation. “Here’s a song from Anything Goes,” I’d inform them, “introduced by Ethel Merman in 1934.” And I’d sing I Get a Kick Out of You. But I’m digressing -I’ll deal with my adventures at the keyboard in another post. I simply want to record here my passion for this music; I was lucky to be born in New York, and to have parents to whom the theater was a bi-monthly event -they gave me and my sister tickets to My Fair Lady in it’s first week (they’d won the seats in a raffle, had seen it already). By that time (1956) I was a show veteran, having already taken in Broadway offerings Guys & Dolls, Where’s Charley (Frank Loesser), Make A Wish (Hugh Martin), House of Flowers (Harold Arlen), The Threepenny Opera (Kurt Weill), Pardon Our French (Victor Young) and both Hazel Flagg and Two On the Aisle (Jule Styne).